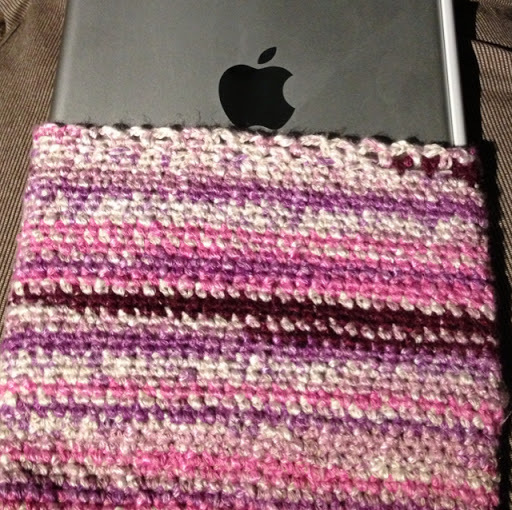 I bought myself an iPad mini in birthday present, so I needed a sleeve for it to protect it in my handbag. I thought the one I have for my iPhone is nice so I decided to make one like that. 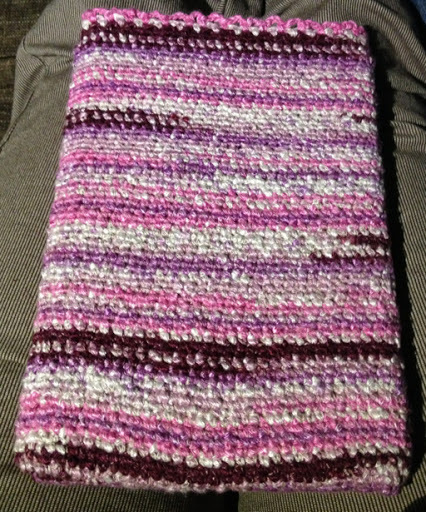 Here's the finished result, with a small edge on it. Maybe I'll add some decoration later, like a flower or something.